We were recently featured with an article on the blog of the lovely Derbyshire Dancer. 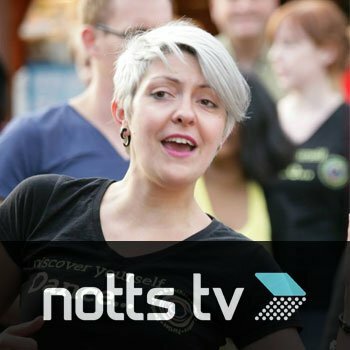 Amanda Hawley of Todo Latino Dance Co. joins the Notts TV team for a featured interview and dance moves for Beginners Salsa and Latin Dancing in Nottingham. Gentlemen, what made you start Salsa lessons? 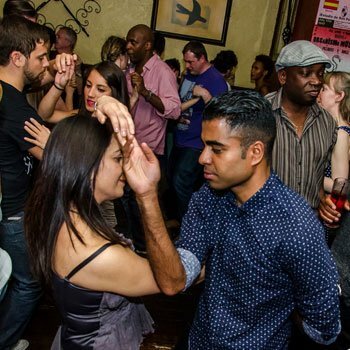 Gentlemen of Nottingham I need your help please – What made you start Salsa Lessons? If you have never danced what puts you off starting? Start curiosity. Most nervous: leading. Not only you feel ridiculous but knowing you have to lead when you have no idea what you are doing is a psychological burden. When talking to beginners or wannabe beginners, now I systematically make sure we all know it is hard and mastering this pressure is part of the learning. I started because I work in isolation, and rarely meet people! Plus I had insomnia and wanted to try and break the cycle, which dancing did help do. In terms of what I was most nervous about… meeting people because I didn’t do it a lot. And also looking foolish, for as you already know, the nice man at VirginActive told me I was uncoordinated. I started because I always wanted to dance, I wanted to meet people and I wanted to challenge myself with something I’ve never done before. Initially what made me nervous was just dancing in front of people, now it’s more the leading. Remembering enough moves that fit together well to make a dance interesting, but not too hard for the follower. All at the same time as looking after your partner on a busy floor and not looking like a muppet! I like to do things that scare me a little. I have very limited musicality so dancing certainly scared me. The meeting people was a real bonus. As you know, my biggest fear was being let lose social dancing. The fear of really messing up when leading is very real. But once you realise nobody else is watching you or even cares, and that your followers are always lovely and understanding then it gets a lot easier. I’d always danced up until ‘stuff’ got in the way. But then I was once more master of my own time and I’d always been curious about salsa …..As soon as I started I couldn’t understand why I’d ever stopped dancing. It’s my faith. 1. Started – a holiday to Cuba and a general love of Latino culture, people, food and music. Now can’t get enough… so much fun!! 2. 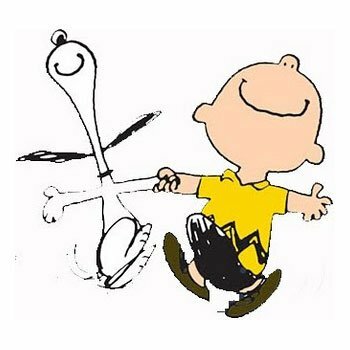 Nervous about – social dancing whilst still a newbie but know I need to get out there! Finding the beat and rhythm comes a close second and partly relates to the first point being a leader. Started at local leisure with my other half and eventually got bitten by the Salsa bug. Initially, I was nervous at leading, learning the steps and keeping time. Would you reject a dance? The guys at Danced Up asked members of the Latin dance community how they would handle being turned down or rejected when asking someone to dance. They then went on to digest the consequences of turning someone down and what the implications are. How to Avoid Being Blacklisted When Social Dancing — Cathy the owner of Dance Challenge writes about dance etiquette specifically for leaders. Party Over Here! Cumpleanos Feliz! Hands in the air! Raise them like you just don’t care! When las’ you been to party? Oi, oi, LONG TIME! Hey, Salsa boys and salsa girls, guess what, y’all? This weekend, Saturday, February 26th, 2011, is Wilson’s birthday. He wants to share it with well, a few of his closest friends – so if you have a moment spare, drop in and wish him happy returns! Not before 19:00 hours, though, because uhhh we won’t be here before then. The party will be at Todo Latino Dance Studio, Top Floor, 3-9 Station Street, Nottingham, NG2 3AJ. You’re advised to bring your own bottle, and there’ll be food. What, nobody knows that song but me? For shame. You will come, won’t you? Bring cake ! 1st April 2011, Amanda at Embankment (no, it’s not an April’s fool joke, either). 23rd April, 2011: AY CARAMBA, it’s a BEGINNER’S PARTY, y’all. Time to get your glad rags on, your feet wet, and not only dance with the one that BRUNG you, but everyone and anyone that you can get your Salsa and Bachata on with. It’s May, moving into June, and the days grow warmer and longer. The year isn’t so new. By this time, it’s older, and slightly shabby. The promise is a bit tinted, and by this time, there have been disappointments. By you to others, by others to you. Probably, you might have fallen off the exercise wagon. All that money coming out of your debit card every month, and you have yet to get to the gym. Or, this was the year to make new friends, and just get out of your funk. The year is almost half over, you think, and as such, it’s too late for a resolution. For change, and you find yourself resigned to more of the same. 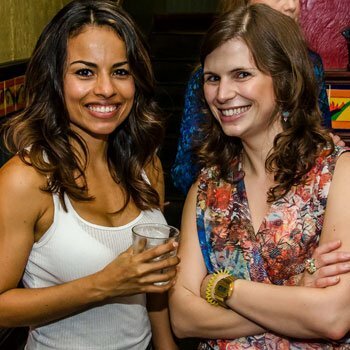 With todo-latino, every week is a chance to make a new beginng. To effect the change that you’ve been promising yourself ever since the New Year, and now in this not- so-new, slightly shabby year. 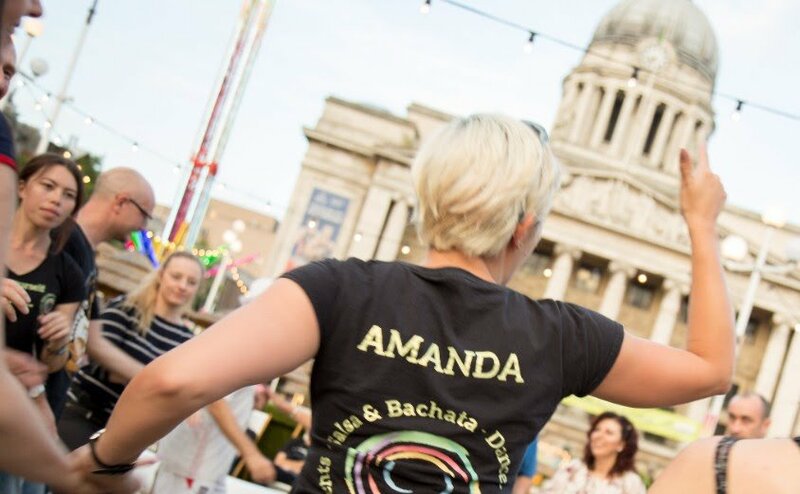 On Fridays, with the drop- in salsa taster classes, to make sure that you get the basics, with a warm and cheerful teacher that’s Amanda. 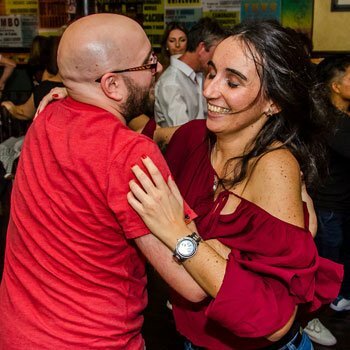 On Mondays, every eight and four weeks, will be Beginners Salsa Lessons, Absolute Beginners Salsa lessons and Absolute Beginners Bachata lessons at Station Street, Nottingham. 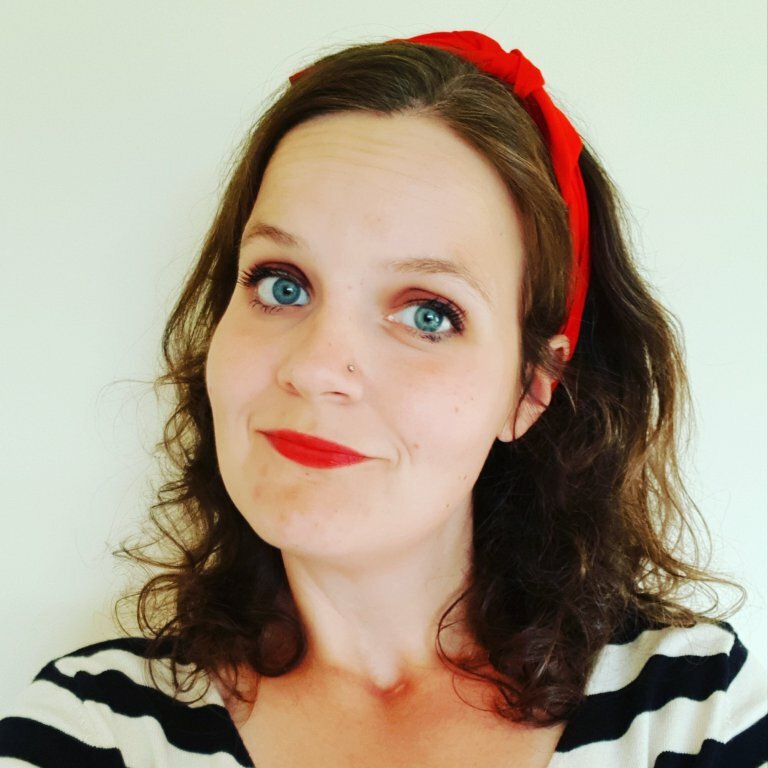 If you do feel a bit nervous coming along and getting stuck in (dancing with other people), feel free to contact Amanda or Wilson for private dance lessons. Then come along, get some good shoes, and dance. In addition, you’ll see the entity which is the floor that Amanda keeps feeding, and it will be good for your knees too. It’s May, going into June, and the days are longer. Come and share the hours with us. Do it again… for the first time. This weekend (Friday and Saturday, May 21 and 22nd, the studio on Station Street will be closed so that it can be spruced up and the floor be fed and fattened up for Monday’s classes. Yes, Amanda feeds her floor. But no, Amanda said it so matter of factly, I could only admire. I do remember asking her if her floor was vegan (ha, ha, ha, I kill me. Try the veal, chaps, I’ll be here all night ), and Amanda calmly and gently explained that the thing with wooden floors, is that they tend to be porous. When they get too dry, and you dance on them, they tend to be slippery underfoot. So feeding the floor gives it enough grip so when you dance, there isn’t the threat of an accident. I’m not the only one who remembers that old cartoon? I digress. Come Monday, there will be new slots of classes, and another chance for you to get up, and come out to dance with us. If you’re new and reading this, come on down, I’m sure you’ll do better than me. I’m trying to get youtube vids embedded in this bad boy. I have been making videos and I am so wanting to share them with you! Will you stop by? Come on up to our classes and say hi? I’ll be there, knowing that you’ll have a better time of it and make me jealous. Or, at least, you won’t have your inner Attenborough narrating your every move. Practise, my amigos! Speak soon!